On-One's dirty secret is finally ready and as promised pre-orders are now being taken! A limited number of the new disc ready carbon cyclocross frames will be here for the end of the month- order yours here now. We've finally got the frames finished and on their way to us- and we've got the details you're all after. Pre-orders will be open on Monday 17th October- don't miss out- initial stocks are very limited, it will be a first come first served basis! 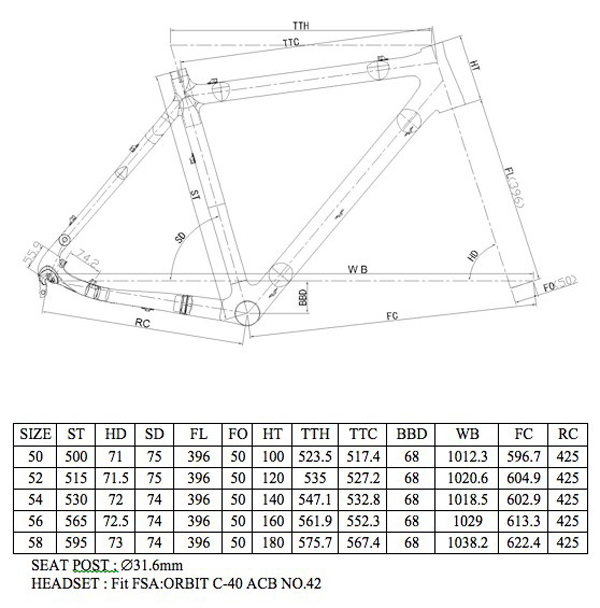 Frame, fork package pricing is just £599/$799. A world beating price for this highly rated frameset, with a geometry that our riders love, and we know you will too. We will have a variety of headsets available, so headset isn't included. Click here to order the On-One Dirty Disco carbon cyclocross frame now! Frame takes a 31.6mm seatpost, a standard 1.125in stem, a 34.9mm front mech. Standard threaded English BB (not BB30 as previously reported). Rear spacing is 135mm. The frame will take 160mm rotors. No mudguard or rack mounts. The frame finish is Matt laquered 3K carbon, and decals will be self-adhesive customer-applied (so it comes bare). The On-One Dirty Disco- arriving end of the month but stocks are VERY limited. Don't miss out!